INSULLA® Roof Insulation Tiles, designed specially to keep your home cool and pleasant. Heat resistant is somewhat like protecting the humans and the buildings from the high rate of sun rays and reflection that affects both human and the residence as well. How did you get rid of high-temperature reflection? High-Temperature Coating is a series based on functional silicone coating provides excellent heat resistance, corrosion resistance, and high colour retention. Where it gives excel protection in harsh environments and reduces heat by reflecting towards backwards and accepts back less rate of heat for consumption. Japeva Group Of Company owns a brand known as Insulla with high-quality Cool Roof Tiles and Coating for residential and industry-based solutions to get the standard benefit of reducing a high temperature. Japeva Engineering is a certified member of Indian Green Building Council (IGBC) has a passion for providing “GO GREEN” Building material products to mankind by protecting the mother nature. Insulla is committed to achieving ever increasing levels of customer satisfaction through continual improvements to the WORLD CLASS QUALITY of the products and services with the involvement of our entire internal customer. 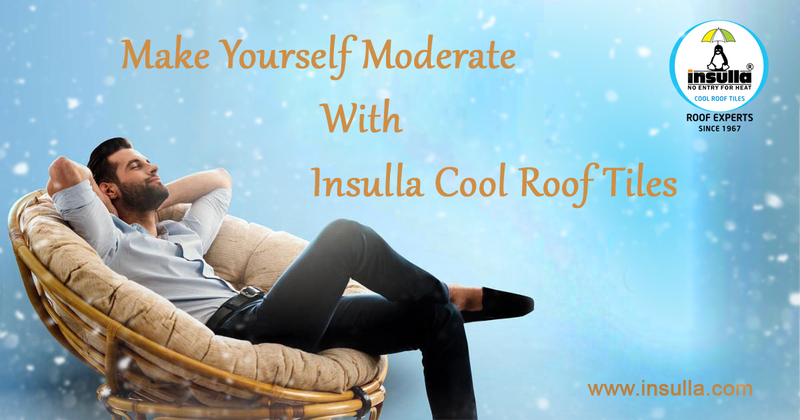 Make Yourself Relaxing With Insulla Cool Roof Tiles & Coatings! What could be more relaxing after a full day work or stress? It is our home when we come inside we feel the warmth and freshness feel to relax a lot more. But what could be the scenario if it feels even more irritated when you reach your home? It happens! But you should not allow a space for maintaining a hot temperature inside your house. Make it more relaxing and refreshing by installing Cool Roof Tiles in your residence. Cool Roof Tiles benefits you with maintaining cool temperature along with saving your electricity bill! Of course! Is in it? Cool Roof Tiles designed in such a way that it reflects more sunlight and absorbs less heat than a standard roof tile. An Eco-friendly Product – Provides Natural Air-conditioning where no power consumption has been absorbed. Insulla produced to be passionate of innovating “GO GREEN” solution and providing the method to mankind which protects them from extreme power consumption and heat reflective protection. We are one of the very few companies in India, and probably worldwide, who can boast of “Manufacturing Innovative Green Build” building material products using only Eco-friendly raw materials. Adapting to the commitment, we guarantee high performance and maximum uptime to satisfy user needs at their level of trust and confidence. During summer days, people would feel really hard to stay outside even inside in the residential or office. They simply lose their energy level in the form of raising sweat and became more fatigue throughout the summer. What if the same occurs inside the house too? Of course, people are now technically moving with electronic gadgets which make them stay to relax and cool. That may be a temporary solution with lots of spendings. So how could be recovered from these problems? Generally, these climate-changing activities are usually happening seasons from winter to summer or summer to winter. But people should be awarded in facing these seasonal effects with typical measures. So what could be your measures in protecting from these sun rays which affects us in many ways? 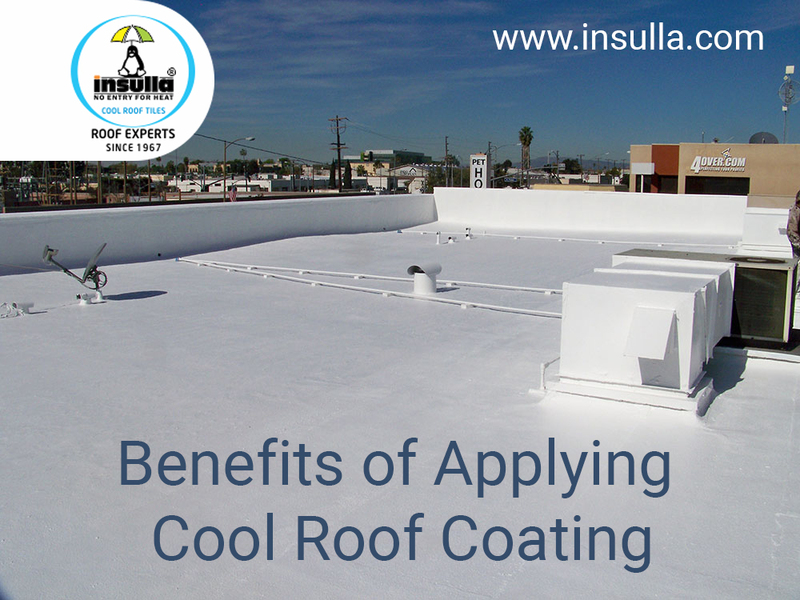 There is a permanent solution in installing Cool Roof Coating for your residential areas like home or office to resist the high temperature from being directly affected. Cool Roof Coating improves the heat protections and permits energy saving without the use of air-conditioning systems. Once at a time when we applied on our home or office, it reduces cost saving for air conditioning, we feel like more freshness and chillness in summer season also, cool roof coating reflects the sunlight and keeps the building cooler. Cool Roof Coating not only improves heat insulating but also provide waterproofing protection on the roof, avoid leaking roof, fade resistant, anti-algae, etc. COOLON™ is the world's best cool roof coating material, makes it extremely efficient for this thickness and stop gaining heat, and produce cooler to the roof. COOLON™ roof surface is 22.5°C less than to compare other normal roof surface temperature, the result proves completely reduce forming heat and prevent the roof from getting hot. Using COOLON™ materials saves installation time when compared to conventional insulation methods. It can quickly clean up with soap and water. Easily installed without cutting, tapping and any other materials. Cool Roof Coating gets features of heat reflective, anti-skid, water resistant and stain free. Keep Your Home Cool With Cool Roof Tiles This Summer! Want to keep your home stay cool? You have to install cool roof tiles to protect your house from the sun. Cool roof tiles reflect more sunlight and absorb less heat to keep your home thoroughly chill. In summer seasons we are all facing the problem such as heat impact, sweating, warm temperature. By installing cool roof tiles on your home, it can reduce the surface temperature and take heat away from home throughout the entire summer. Once you install cool roof tiles, don’t want to spend the cost of air conditioning, You pursue your life peacefully and freshness. What are the benefits of cool roof tiles? Cool roof tiles are useful for heat reflective, anti-skid, water resistance, and stain-free. Cool Roof Tiles are designed to reflect the heat of the sun instead of absorbing it, and it can keep buildings cooler and reduce the amount of energy. Cool Roof Tiles are specially designed to help struggle slips in your workplace or in your home to keep more protective which gives a real grip and easily support in your bathrooms, terrace, and floor areas, etc. Cool Roof Tiles not only reflecting the heat, but it also helps to prevent from water dripping on rainy seasons. It absorbs water from the roof tiles and makes it dry. Stain-free, Which can easily clean pointed on the terrace, floor, etc. It can 100% washable which containing germs, stain, and dust. INSULLA® Cool Roof Tiles are made with innovative technology and emit the sun lights heat instead of absorbing it and has the strength to reduce the surface temperature. JAPEVA® ENGINEERING PVT LTD offers INSULLA® Cool Roof Tiles in delivering practical solutions for all particular applications in cost-effective and accurate results. 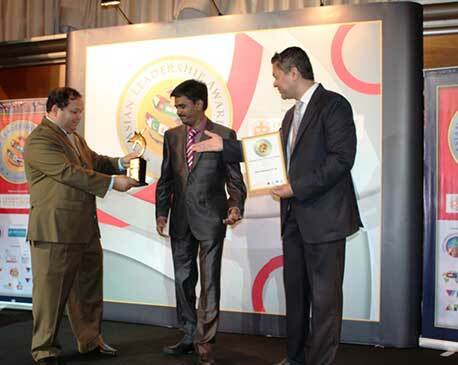 They certified explicitly with ISO 9001:2008, Who runs a family-owned company, Since 2011. Our services are Cool Roof tiles, Cool Roof paint/Coating for Indoors & outdoors, and Water Resistant Grouts with the most unique highest quality. How Do Avoid This Upcoming Summer Season? What Are The Protective Measures? After this mid-winter season, people are profoundly frightening of summer seasons on how it occurs and this time what could be more damaged. As thinking about it, people would be more conscious of another set of activities which could protect themselves. Healthy drinks, diet, facial creams, sunburn energy drinks etc., etc. What could be more stuffy and irritating even when you are inside your house? Sense your presence this summer! All other activities to protect self-made can work, but think of lovely home beings are still suffering inside, and when you reach home after hot stuff, you would feel the same. Nothing changes! 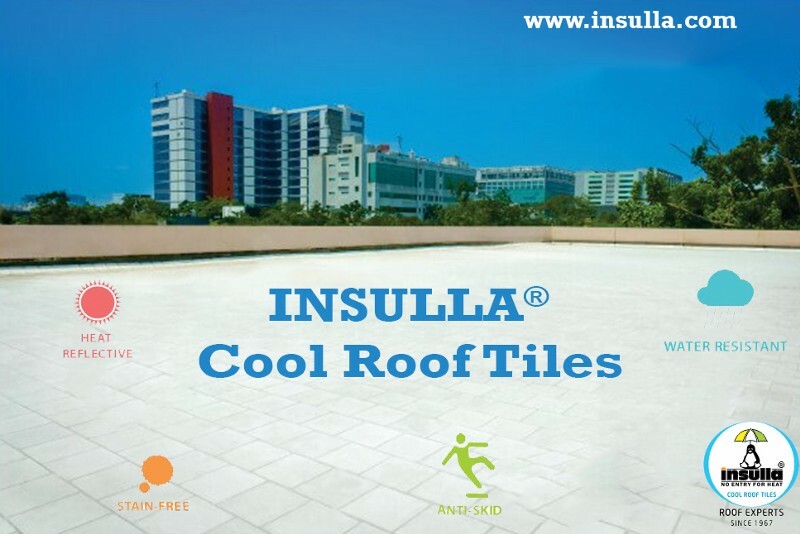 Cool Roof Coatings & Cool Roof Tiles presenting by Insulla in all major cities like Bangalore, Hyderabad, Chennai, Madurai & Coimbatore has a feature of protecting sun rays from falling on the house and reflects cool conditioned air inside the home to feel excellent. 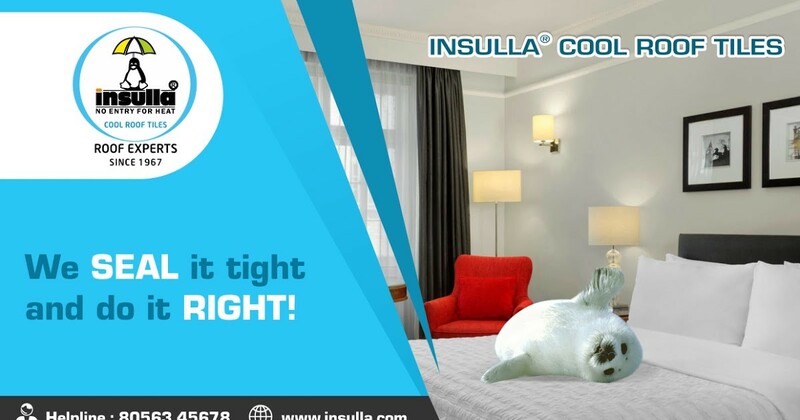 With thermal insulation with the superior passive cooling technique, it reduces inside room temperature minimum 5 to 8 degree Celsius. Apart from other insulation methods, cool roof tiles are cost effective and eco-friendly nature. We are committed to achieving ever increasing levels of customer satisfaction through continual improvements to the world-class quality of our products and services with the involvement of our entire internal customer. We will endeavour to increase customer trust and confidence in the label made by JAPEVA® ENGINEERING PRIVATE LIMITED. How could you face this heat? And how to protect our house with this affecting UV Rays? Protecting our asset without any damage would be a difficult task nowadays. Damages are like dust, or water leakage or sun heating rays where damages the house earlier and results in cracks. To protect from this heat busting rays in the city like Hyderabad which comes inside the house, where the solution is, we have a reflective ingredients binder which safeguards both Indoor & Outdoor walls called Cool Roof Coatings. An Aerogel Enriched Acrylic-based Cool Roof Coating COOLTON, which is best coated by a professional Insulla, who is proved to excellent in the field for more than eight years in the industry gathering a trust and commitment to work on creative innovations to bring the result over the solution. How Cool Roof Coatings Work? COOLON™– Roof Insulation Two-Part Coating System acts as an All in One Solution with the excellent property of Crack/Joint Filling, Waterproofing and Thermal Barrier Exterior Protective Coating. Save over 20–30% of your energy/electricity costs with the Nano Aerogel technology. Test certified by TUV, Singapore and Conforms to ECBC / LEED / IGBC Roofing standards. Want To Hide From Sunlight? People usually know a company by its product, services and its reputation, but often they don’t get to know the real story behind that company. Like what s the vision behind the company? Why this company was formed? How their product came into being? See this are essential questions which ultimately found an answer in a form of company, if you ask no questions, you will get no answers--that s the wisdom of life. Everybody knows that Edison invented the light bulb, but only few know that he failed two thousand times while in the process of creating a light bulb. Well our story may not be as great us Edison’s light bulb story but still it’s a story worthy to be told. Hi, I am Dr.R.k.Saranraj MD of JAPEVA ENGINEERING PVT. LTD. We are a family owned company, leading producer of Construction Chemicals & Building Materials. I was not always a Managing Director; I started my career as normal employee in my father’s company.In 1992, I officially joined Marvel Waterproofing & CO which was a company owned and managed by my father Mr.KARUPIAH. Our core business area was waterproofing (it is a method which prevents water from penetrating your house) and under that we followed water membrane system.